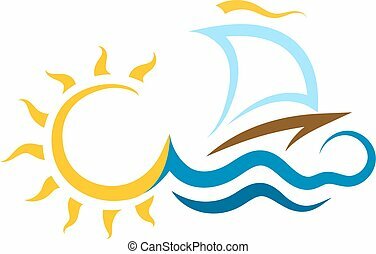 Boat waves and sun logo. 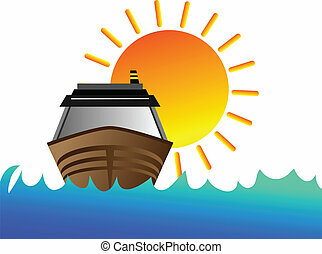 Boat waves and sun vector. 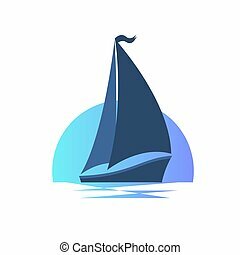 A logo of the sun with the sailing vessel and birds.